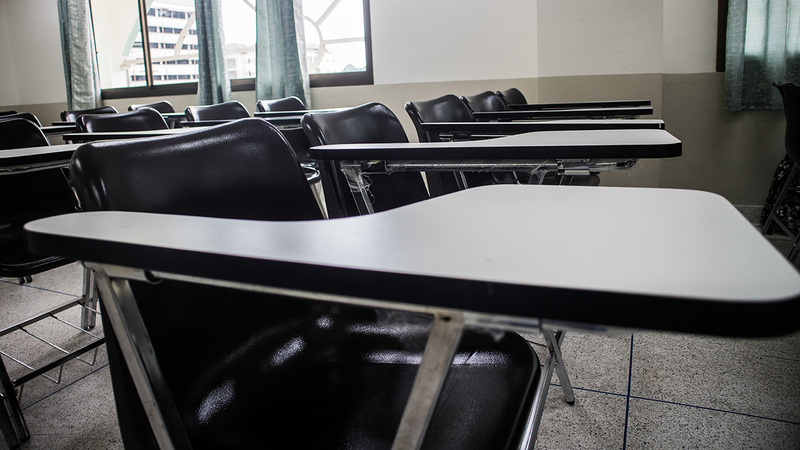 BERNARDS TOWNSHIP, New Jersey -- A child in a New Jersey school has died as a result of the "choking game," where kids seek to achieve euphoria by briefly stopping oxygen from reaching the brain, a school superintendent says. Bernards Township Schools Superintendent Nick Markarian said in a letter this week to parents that the student engaged in the game also known as space monkey, the fainting game, or flatliner. His letter said the death earlier this year was "one of the tragic losses of student life we have experienced this year." The superintendent recommended that parents talk to their children and review the search history of their media devices; he noted that students ages 9 to 16 are vulnerable to experimenting with risky behavior. "The early-adolescent brain does not process information in the same manner as an adult brain, and so children in this age group are not able to fully understand the serious consequences," he wrote. Parents have been cooperative in the wake of the student's death, the district said. A spokeswoman declined to say when exactly the death occurred. The superintendent also advised parents to monitor possible physical and emotional signs, including bloodshot eyes, mood swings, disorientation after periods of solitude and bruising around the neck. Knots left in neckties, belts and ropes are also red flags, according to Markarian. "Those parents who have communicated with me about the letter have been positive," Markarian said. Current statistics on deaths caused by the choking game are unclear. The Centers for Disease Control and Prevention reported that the game was responsible for 82 deaths between 1995 and 2007.